One bill, sponsored by Council Member Ritchie Torres, would require the city Department of Education (DOE) to report the ratio of school safety officers to guidance counselors in each school. 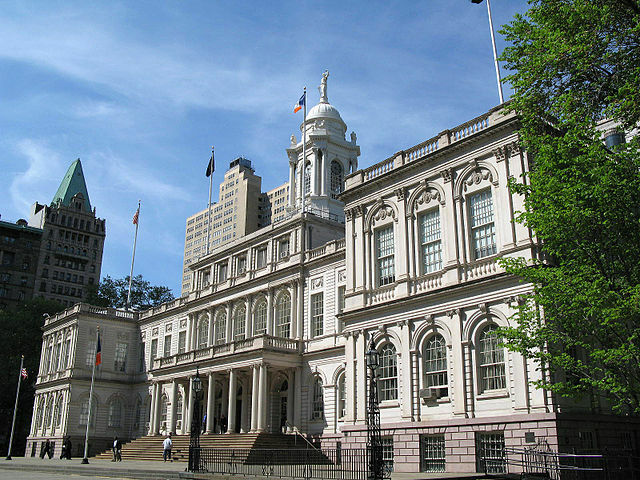 The bill, Torres said, has the support of the Council's Coalition of Young Men of Color, which includes Torres and his colleagues Council Members Antonio Reynoso, Donovan Richards, Rafael Espinal and Carlos Menchaca. The legislation is an attempt to gauge the "imbalance of resources" in the education system, Torres told Gotham Gazette. "In order to solve the problem, we need to diagnose the problem," he said, indicating concern over there being too many police agents and not enough counselors in the city's schools. The information gleaned from the DOE will help determine how resources are allocated toward punitive or restorative practices. Torres said he wants to address the "school-to-prison pipeline" created by disciplinary policies where suspensions lead to dropouts; with both leading young people to the criminal justice system. 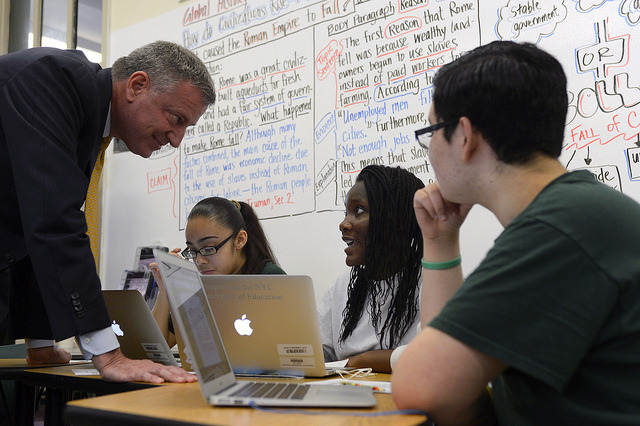 "Our public education system is defeating it's own purpose instead of putting [youth] on a path to a career," he said. "The people to blame are not the teachers and administrators, but the politicians and bureaucrats who create these policies," Torres said. 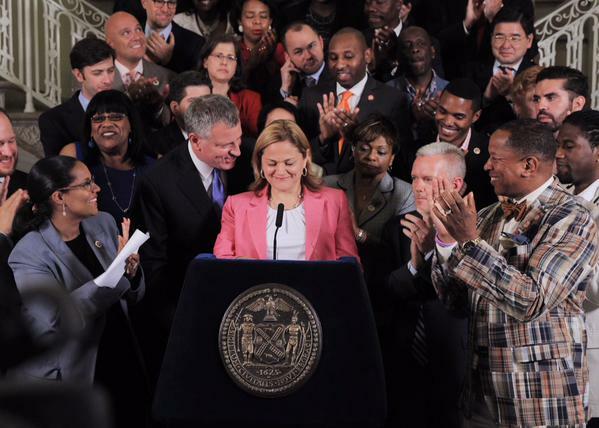 Torres does commend Mayor Bill de Blasio for making a genuine effort toward reform. In February, the administration revised the school discipline code and established more careful punishments for certain student behavior, including the new requirement of approval from the Department of Education for student suspensions. "But it's important to match changes in policy with the investment of resources," said Torres. "A key part of the equation is access to restorative resources. It's about reforming the criminal justice system. If ever there was a time for reform, it's now." A second bill to be discussed on Tuesday, introduced by Council Member David Greenfield, requires the police department to assign school safety agents to public and nonpublic schools that request them. And the third bill, sponsored by Council Member Vanessa Gibson, requires the schools chancellor to submit an annual report to the Council, also made available on the DOE website, on the discipline of students and the referral to emergency medical services for incidents related to disruptive behavior. For advocates of reform, the package of bills is a move in the right direction. 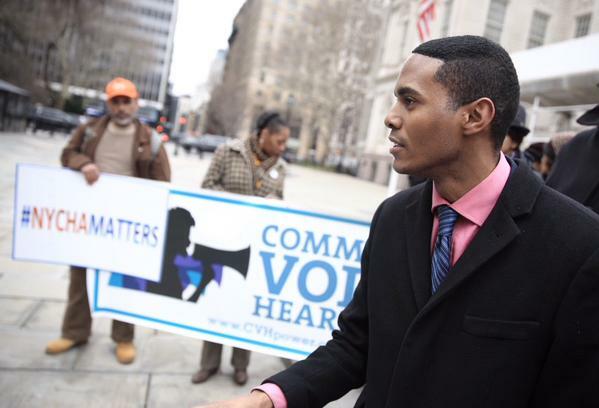 A number of groups including Make the Road New York and the New York Civil Liberties Union (NYCLU) are expected to testify at the hearing to show their support for both Torres' and Gibson's bills. 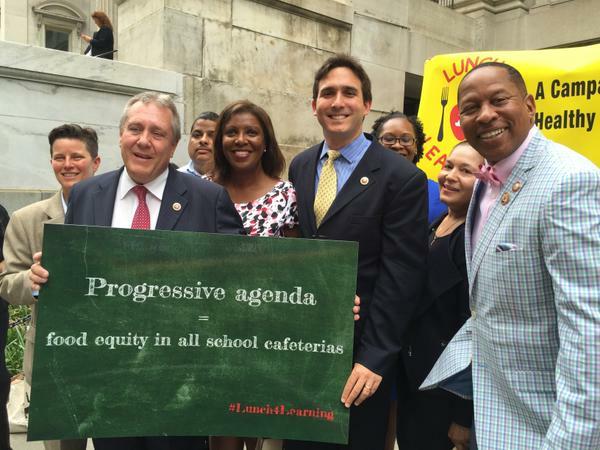 "[Council Member Torres' bill] gets at the heart of where schools are allocating resources," said Karen Farkas, senior staff attorney at Brooklyn Defender Services. Farkas deals with issues related to education and counsels students between 16- and 19-years-old. "It's a knee-jerk reaction in communities and among lawmakers that safety is equated with the presence of safety agents," she said. "But my clients and students of color don't equate that with safety. It detracts from a positive community and school culture. It makes it harder for schools to be schools." Many of her clients, Farkas said, come from communities that are already over-policed. "Schools should be a place where kids are given the benefit of the doubt, not considered bad or criminal." Farkas believes Torres' bill could reveal the effects that fewer police agents and more positive counseling would have. She also praised the administration's recent steps for laying the groundwork and initiating discussions on restorative justice practices, whereby instead of being suspended from school, students work to make damaged relationships whole again. But, Farkas insisted that "Unless there's a whole school reform model, and it's done well, little piecemeal measures won't change the whole problem." Shoshi Chowdhury, coordinator of the Dignity in Schools Campaign, said the bills would help provide more data and transparency, shedding light on school discipline. 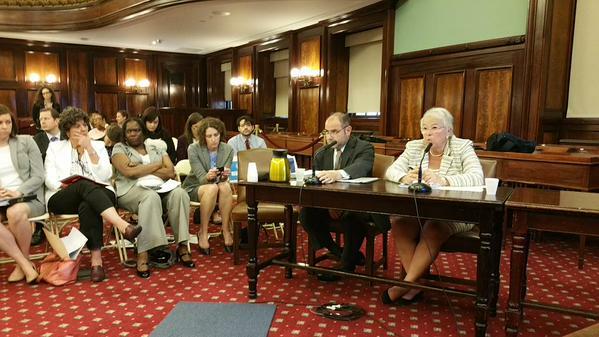 "The Student Safety Act of 2010 was the first time in New York City history that we started getting data on suspensions. But there was some data missing," she said. The amendments proposed in Gibson's bill are aimed to address these. At the hearing, members of Chowdhury's organization will testify along with students, parents, and educators. Nick Sheehan, staff attorney at Advocates for Children, shares Chowdhury's view. Torres' bill, he said, would increase transparency "about how the City chooses to allocate its resources." He went further, saying the bill should also add ratios of social workers and school psychologists to school safety agents, and the ratio of those staff members to students. He also agreed that Gibson's bill would address the limitations in the Student Safety Act. "They're technical tweaks, but they're important," he said.